Chevy Blazer was originally created in 1982 and sold in the 1983 year. This SUV competed with the Ford Bronco and lived a long life until the mid 2000s. The early 1990s brought improvements to the Blazer. A newer V6 engine was the most significant. The new Vortec technology was now in use by GM. This Vortec 4300 engine is the exact Chevy Blazer 4.3L engines that are found in our warehouse inventory. If you’re searching for a used car engine, you probably won’t find one sold less than on our website. We know how to treat customers right here. Our search for distributors helped us to build our company from the ground up. 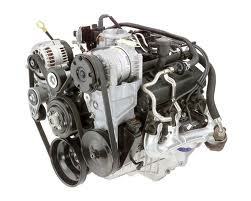 What you’ll find here is that we have remanufactured engines at great prices. We choose to offer rebuilt engines because we know these have a much longer lifespan compared with used. Customers that are able to install an engine that has been rebuilt often report much better results. These results are designed to last for a long time. We owe a lot to our engine department. These experts build engines like the 4.3L V6 every day here. This is how we’ve built our company to be a number one sell online. The Blazer can be upgraded with our rebuilt V6 engines. You can even install this engine in a GMC Jimmy. You don’t have to own either of these two vehicles. We sell these to dealerships, junkyards, mechanics and other types of body shops. We ensure complete satisfaction because we’re the builders. We know what we’ve put into an engine block to get it to function like new. Our mechanics are all trained and keep up with this training annually. Our large customer network receives nothing but completely installable engines. We offer warranties and many of our customers do not have to use this coverage. Our rebuilt engines are a true value. Shipping Blazer engines is an important part of the selling process. We could simply outsource our shipping tasks but we don’t. We use our internal team of freight experts. We setup accounts with freight companies and we’re able to save customers money on shipping. We don’t have to hide the freight costs in our low prices. We have one set price and that’s what customers pay. We cut down shipping delays be expediting our services. Our freight team is in complete control and ship out hundreds of V6 engines weekly. Our warehouse stays packed with our warranted engines and remain ready for customer installs 365 days a year. Pricing is really easy to get from us. We won’t complicate the quote process. We want you to buy from us and not go elsewhere. All you have to do is use our form for quotes right here. Fill out the form and it is sent to our specialists. We review the information and what comes back to you is a low price. You can call 1-877-630-3873 too. This is our phone quote line and the call is totally free.